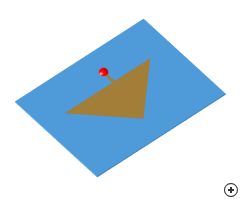 Image of the Triangular edge-fed patch. 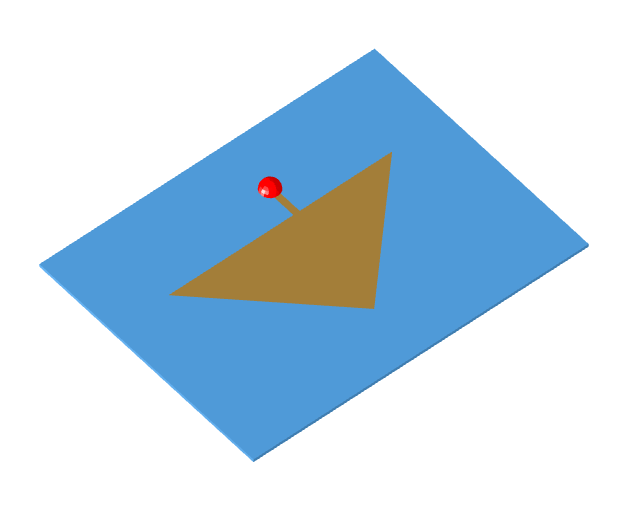 Modern communication systems as found in GPS and WLAN applications may not require large performance bandwidth, but rather compact, low-cost antennas like those included in the Antenna Magus Wi-Fi family. 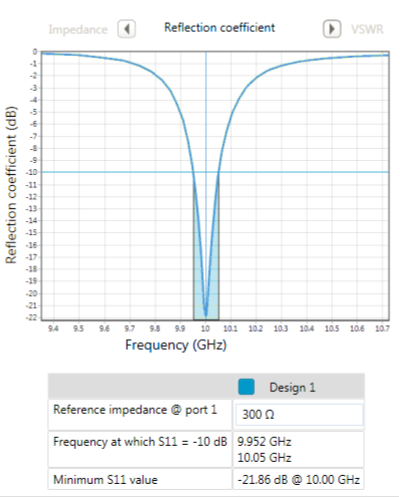 The Triangular edge-fed patch can be designed for a specific substrate and a wide impedance range of 50 to 800 Ω. 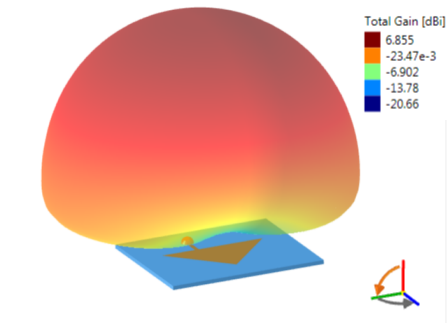 The images below show the typical performance estimation in Antenna Magus for a 300 Ω design at 10 GHz. . 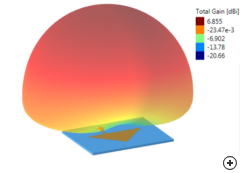 Typical 3D radiation pattern of the Triangular edge-fed patch at the center frequency. 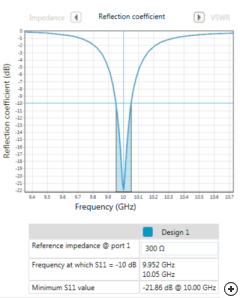 |S11| of a Triangular edge-fed patch designed in Antenna Magus for 300 Ω at 10 GHz.